Sister Bay Fall Festival draws thousands of people to the streets of Sister Bay each October. Photo by Len Villano. 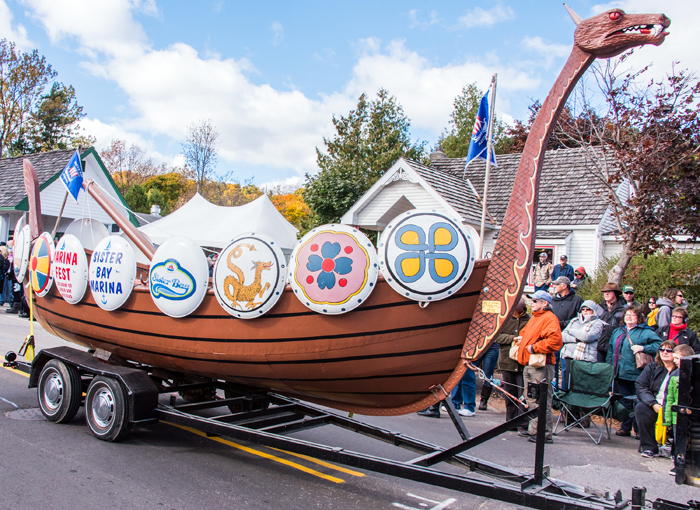 This year marks the 73rd Sister Bay Fall Festival, a celebration of community and the end of the tourism season in Door County, Wisconsin. Enjoy food and drinks inside and outside throughout the village as restaurants take to the streets to showcase their food. Enjoy the famous Bloody Marys at Husby’s Food & Spirits, pumpkin pie in a cup, or just a pint with friends. Play games for kids and adults, check out an awesome classic car show or the huge arts and crafts fair! 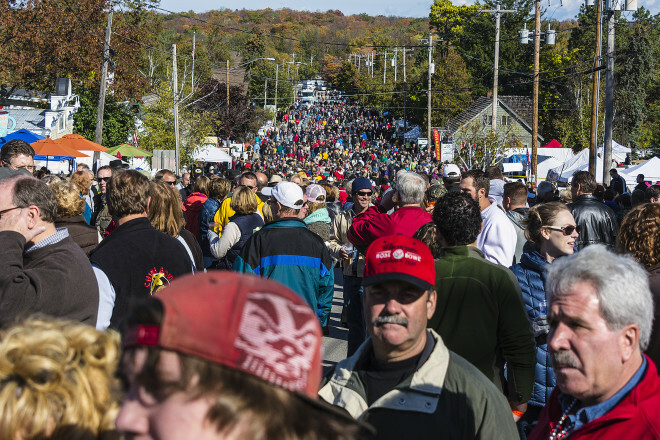 Fall Fest is the party of the year in Door County, the weekend that old friends come home and the locals let loose. Husby’s has been the center of Sister Bay Fall Festival for decades, with bloody marys at the bar outside and crowds packed inside to watch football all weekend. But recent years have seen the crowds grow and more establishments get in on the fun. The Fall Festival Arts and Crafts Fair features over 100 artisans and their unique, handmade treasures. The Sister Bay Lions Club19th Annual Classic Car Show features over 75 unique cars and trucks. The time-honored tradition of the Ping Pong Ball Drop is back again this year at 2 pm on Sunday, Oct. 14 in downtown Sister Bay. The event begins with the new Kids Ping Pong Ball Drop in an area designated just for kids 10 years old and under. Families can watch as the little ones safely scramble for balls with kid friendly prizes. Immediately afterwards, the rest of the crowd gets their chance to scoop up as many balls as possible and win prizes from many local businesses. In downtown Sister Bay, get a bird’s eye view of the festival on the Ferris wheel and have fun at the bouncy houses, bungee rock wall, and goldfish game. Watch the crazy antics of Dr. Cletus Beacker, MD and the Hillbilly Science Spectacular Comedy Show at 3 shows on Saturday in Village Hall. 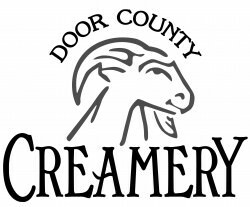 The Sister Bay Lions Club hosts its annual Door County Fish Boil Friday night at the Sister Bay/Liberty Grove Fire Station, and Saturday morning, you won’t be able to miss the smell of maple syrup and sausages at the Northern Door Kiwanis Pancake Breakfast in Village Hall. The annual Fall Fest Parade features The Gibraltar School District Marching Band, Green Bay Preble High School Marching Band, and the Milwaukee Scottish Pipe Band as well as local residents and businesses joining in the fun with parade floats, great costumes and lots of candy for the kids. The 50/50 raffle continues again this year. Tickets are $5 each, or five for $20 and the drawing will be held at 2:30pm on Sunday, Oct. 14. Tickets will be available throughout the festival grounds. 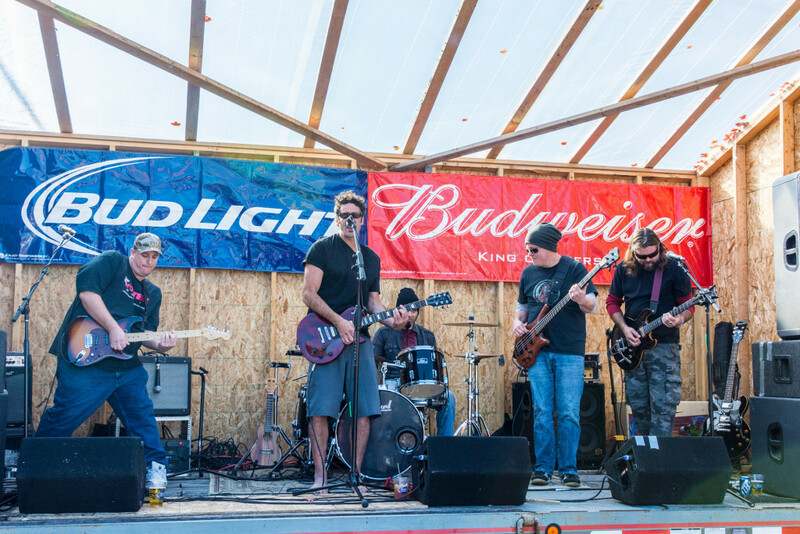 All booths serving beer and wine will be requiring patrons to wear a wristband to be served. Wristbands are available free of charge at all information booths throughout the festival grounds. You must present a legal photo I.D. to receive a wristband. You’ll find live music up and down the street, and restaurants getting creative with their menus on the street. 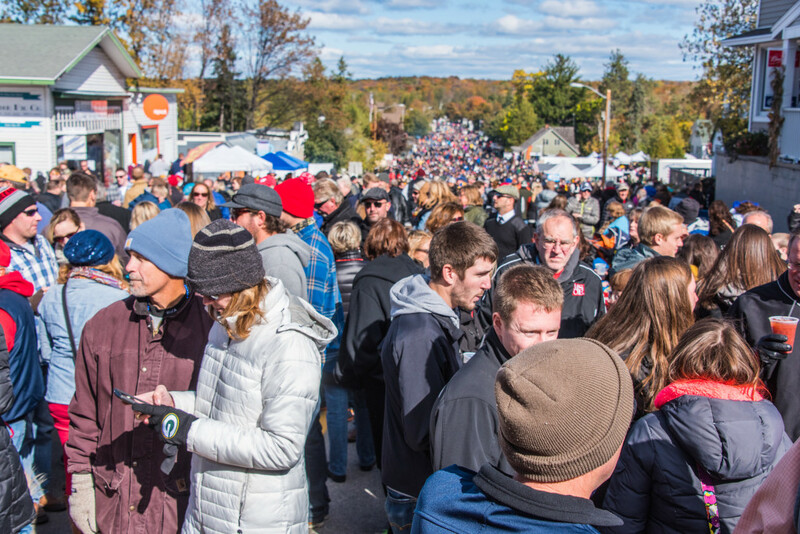 Join the fun at Door County’s biggest party – Sister Bay Fall Festival! 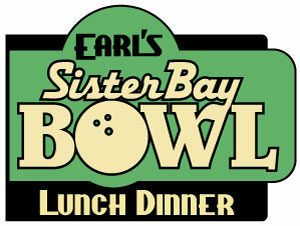 Sister Bay Fall Festival is proudly sponsored by the Sister Bay Advancement Association. 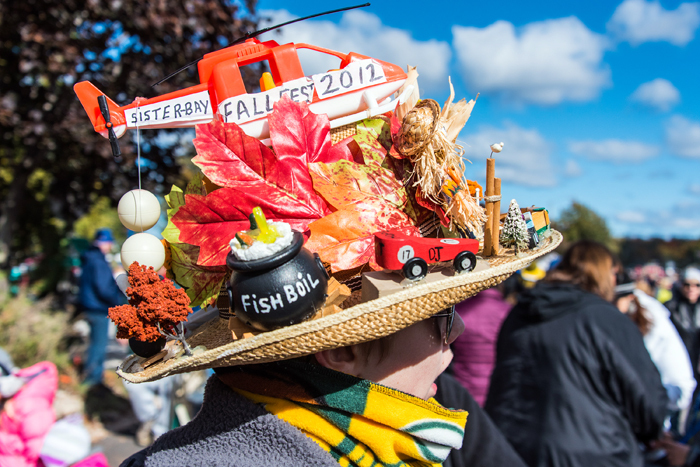 Thousands fill the streets at Sister Bay's Fall Festival celebration in October. Photo by Len Villano. Hoi Polloi performing on stage at the Sister Bay Fall Festival. Photo by Len Villano. 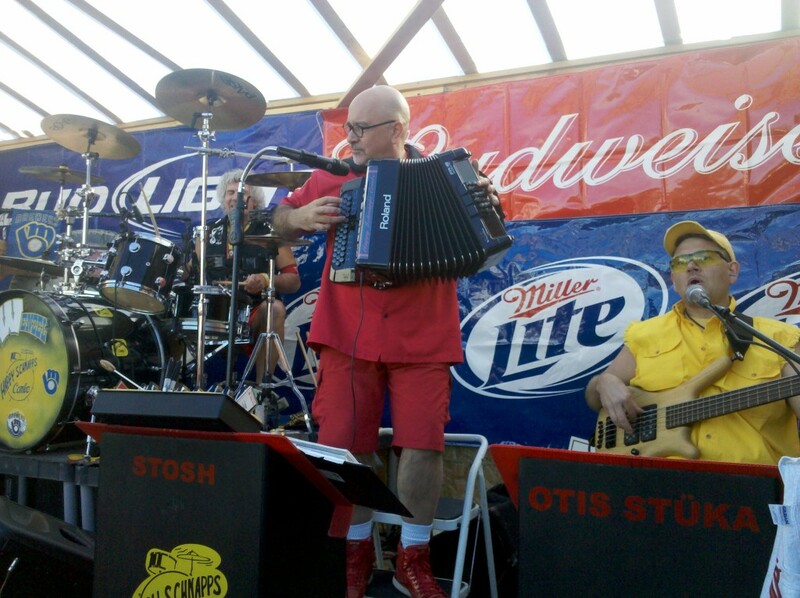 Happy Schnapps Combo frontman Dave Dvorak performs during Sister Bay Fall Festival in 2011. Photo courtesy of HappySchnappsCombo.net. 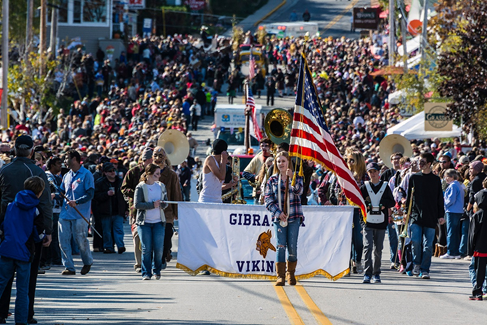 The Gibraltar School Marching Band leads the Fall Festival parade. Photo by Len Villano. 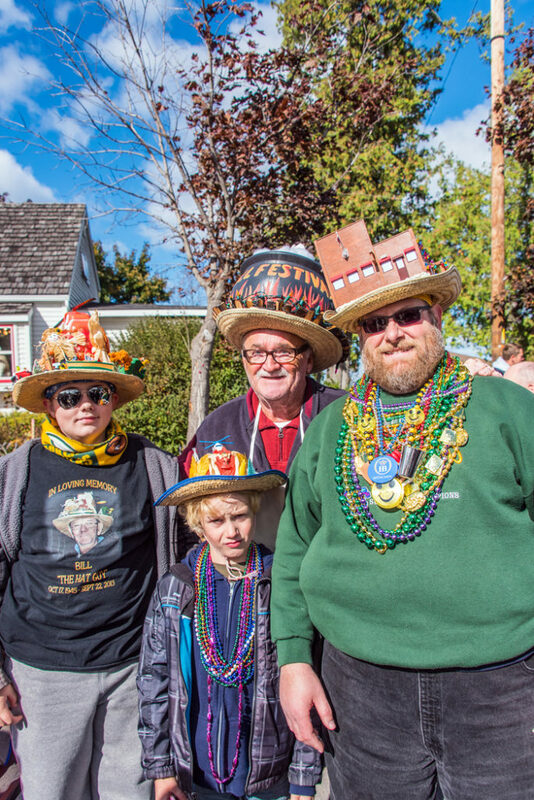 Some revelers let the fall fest fun go to their heads. 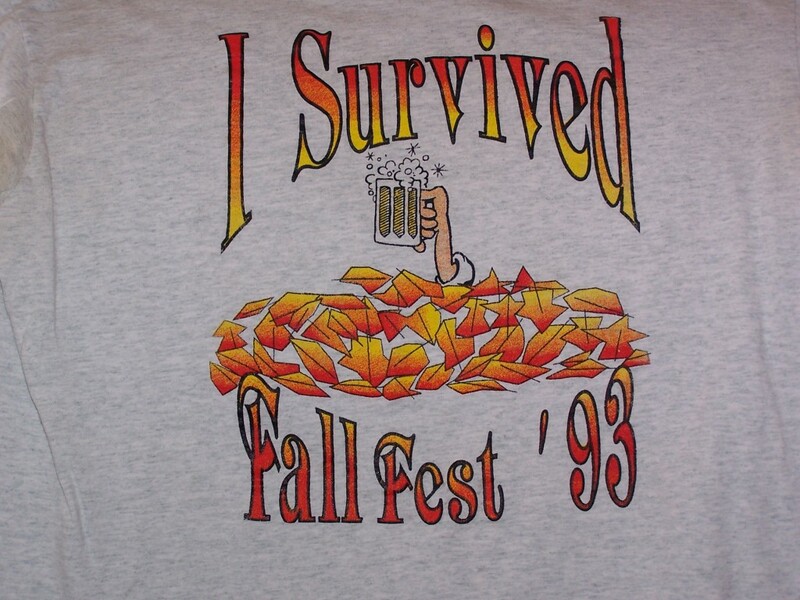 The Husby's Fall Fest t-shirts were a must-have for years. 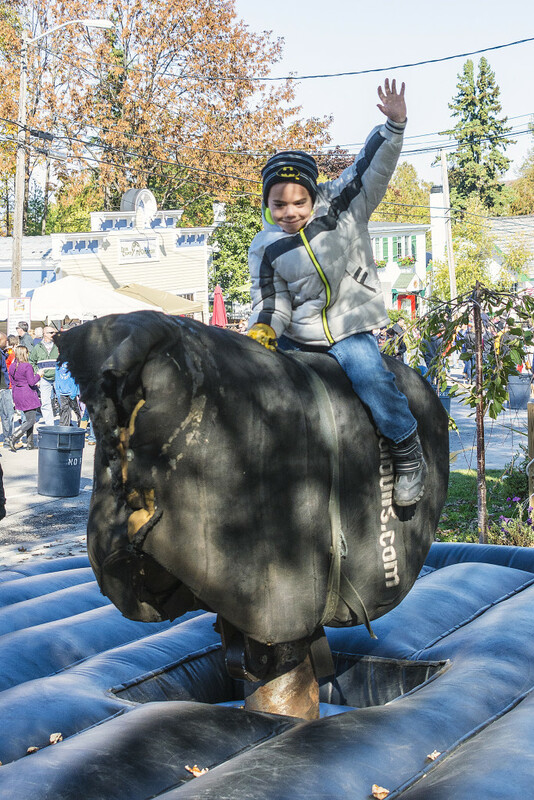 Riding the bull at the 2013 Sister Bay Fall Festival. Photo by Len Villano. 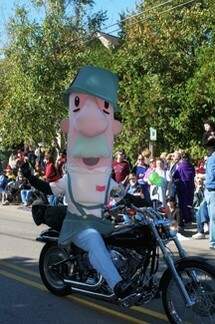 The Bratwurst waves to onlookers during last year's Fall Fest parade. Photo by Len Villano.